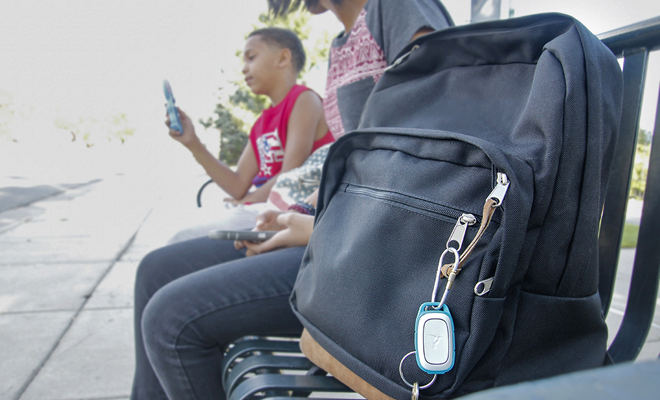 Here’s something that’ll help you breathe a little easier this school year: Revolar, a device that allows the user to simply press a button when they need you to send for help. How many times have you panicked because your little one is taking too long to walk home from school, or your teenager won’t answer their phone? How about when you’re out for a run and you notice someone kind of sketchy following you? While 99% of the time, there are very plausible explanations for these situations, there’s still that 1% chance something could happen. That’s why Jacqueline Ros created Revolar. After Jacqueline’s sister was assaulted as a teenager, all she could think about was how she could have saved her. How, if only there was a button her sister could’ve pressed that would have alerted someone of her dangerous situation, she wouldn’t have been assaulted. In order to prevent other people from similar situations, she created a small button that syncs to a smart phone, and allows up to 5 contacts to be alerted of your situation. The set up is simple: just download the free app and connect the Revolar device to your phone. You can clip the device to your clothes or put it on a keychain. 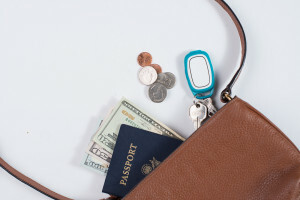 This allows you to keep the Revolar nearby while your phone is in a purse or backpack. 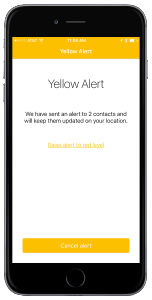 When you do need to use it, Revolar works through WIFI or cellular data to send alerts. There are two types of alerts: yellow and red. You can speak with the people in your contacts about what each one means. For example: yellow could mean your child just needs to be picked up maybe they’re walking home and are feeling uncomfortable. Red, on the other hand, means that they need emergency services and that you should call 911. 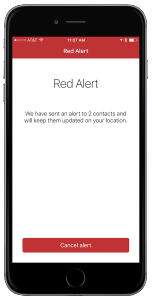 Everyone’s alert means something different, so make sure to have clear definitions of what each alert signal represents when you get them set up! 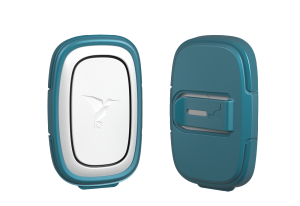 Seeing as the device can fit in the palm of your hand, it’s small enough to clip to your kid’s jacket and to your running clothes. You can even use it when traveling abroad, again, as long as you have cellular data or WIFI! It’s also durable, with a long battery life and water resistant, so you don’t have to worry about it getting wet or charging the battery. Whether your kids are off to first grade or freshman year of college, this is the ideal way to keep everyone feeling safe and protected this school year and beyond! Pick one up at Bestbuy.com, Brookstone stores and at Revolar.com.